ON SALE NOW-LIMITED TIME SPECIAL! Buy Two And Get The Third One for Half Price! Three for $174.85! Now You Can Take Digital Photos With a Working Pen! This amazing pen has a secret built right into it. It's really a digital camera. Although Spy Pen is a real pen that actually writes, it can go where no camera has gone before. 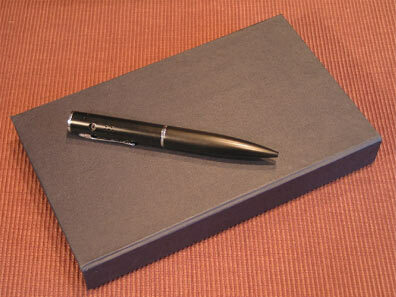 The Spy Pen has 2 MB of memory and can store up to 36 pics with 160 X 120 pixel images. 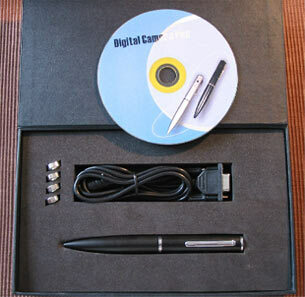 The Spy Pen comes with software and a serial cable for downloading images to your PC. Buy Two And Get The Third One for Half Price! - Three for $174.85!